The European Securities and Markets Authority (ESMA) and the Reserve Bank of Australia (RBA) have signed a Memorandum of Understanding (MoU) enabling the RBS to gain access to European trade repositories. Back in December, ESMA augmented its cooperation efforts with Australian financial authorities represented by the Australian Securities and Investments Commission (ASIC) and the Reserve Bank of Australia (RBA) – the subsequent MoU builds on this relationship and has been in effect since February 18, 2015. Trade repositories are central structures that collect and maintain data for over-the-counter (OTC) derivatives. 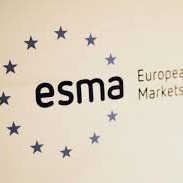 Consequent transaction reporting helps ensure overall transparency over OTC derivatives markets, with ESMA, operating under European Market Infrastructure Regulation (EMIR) providing oversight on the matter. The recent ESMA/RBA MoU is the second such cooperative mandate established under Article 76 of the EMIR regulation. In essence, the cooperation represents a bid to ensure that third-country authorities lacking adequate trade repositories in their jurisdiction may access the information on derivatives contracts held via European trade repositories. Also of note to trade repositories, the Markets in Financial Instruments Directive (MiFID), constituting an ESMA directive that sets out an ongoing conduct of business and organizational requirements for investment firms, is targeting the passage of its second phase into law as of January 2017.